Psychological preparation is paramount to success in any competitive event. The Triathlete requires strength in three major arenas: swimming, running and cycling. 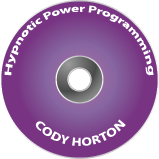 Dramatic improvement in your performance and the ability to overcome any challenge can all be achieved using this hypnotic power program for mental conditioning!